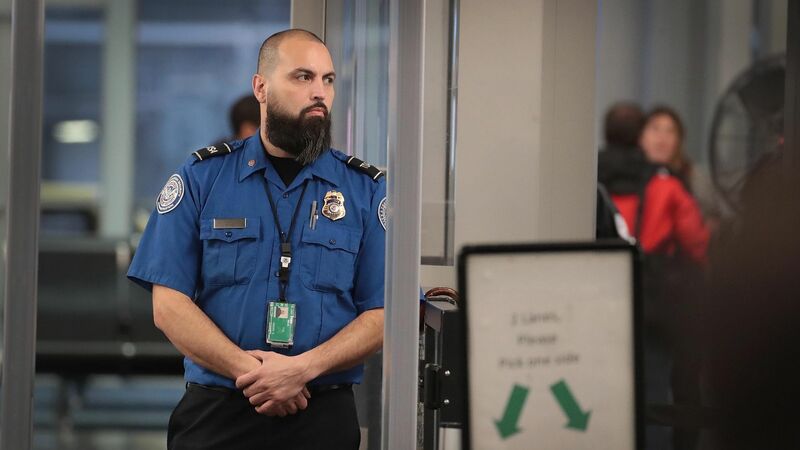 More than 1,000 TSA employees are still awaiting payment after the government shutdown that left 800,000 federal employees furloughed or working without pay, CNN reports. The bottom line: TSA provided partial paychecks to its employees during the shutdown, which could be the cause of this delay as the agency scrambles pay employees the accurate amount. TSA airport screener absences hit 10% 30 days into the shutdown, signaling the financial hardship on employees. "It appears as though their effort to partially pay people screwed things up and they are still getting their act together." Yes, but: U.S. building permits rose during the month, by 0.3%, meaning a sharp divergence between the number of actual building constructions started and the number of permits filed to build. What they're saying: "The divergence ... reflects the December chaos around Federal Reserve interest and balance sheet policies, fearing new tariffs on imported construction materials, declining small business confidence and a federal government shut-down that damped new start enthusiasm," Steven Skancke, chief economic advisor at investment firm Keel Point, and a former Treasury Department official, tells Axios in an email. Between the lines: The housing starts data collection was interrupted by the 35-day shutdown, which Skancke and others say can have a disproportionate negative impact. What to watch: "While we think the data will recover in the near term, it will still leave a further slowing in housing activity," BAML's analysts said.